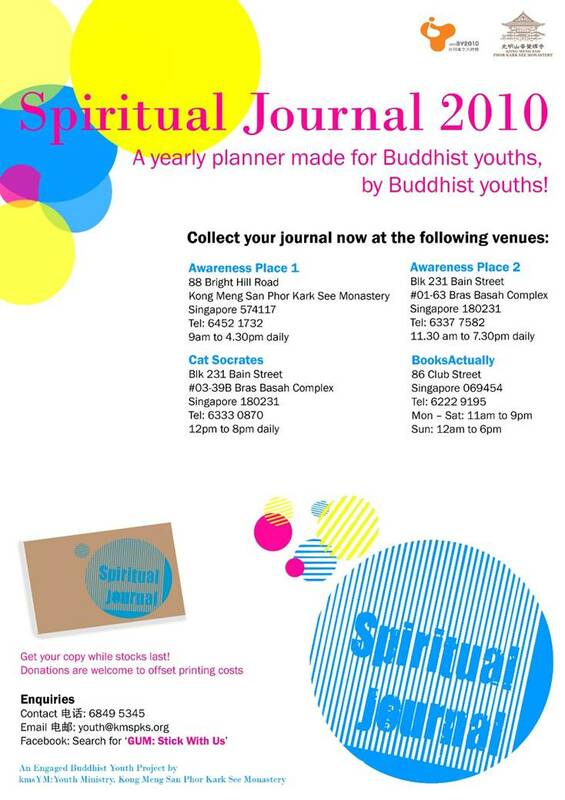 Spiritual Journal 2010 is out! Get yours now! Everyone’s entitled to one journal each at abovementioned outlets – to get more for your family and friends, call Youth Ministry at 6849 5346. Special thanks to our designer Nelson and copywriter Yan for giving birth to the journal! P.S: I designed this poster! Nice hor? This entry was posted in buddhism and tagged Spiritual Journal 2010.